Anyone who may have been a little sceptical about the benefits of an iPad Mini will have been surprised at its popularity. After all, what benefits are other than being slightly smaller than the full-size iPad – which you already have? Although the devotion of Apple fans probably means the device would have flown off the shelves regardless, things tend not to shift hundreds of thousands of units without having something to offer. The most obvious benefit being the size, the Mini is very portable and easier to handle should you wish to take pictures or shoot video. It was also more affordable than the standard iPad, leaving some extra cash to go and stock up on iPad Mini cases from The Snugg. That did not mean it sacrificed speed or memory. It runs on an Apple A5 Dual Processor – the same as the iPhone 4. Regardless of the other benefits, the main draw of the iPad Mini is the size – it is in its name after all. This has made it the go-to device for many a businessman, wanting the best quality in a device that is easily transportable. Here are some of the applications which have found themselves particularly suited to the iPad Mini. As the Evernote app lets you sync everything back to your desktop computer, it is perfect for those who want to take notes without being encumbered by a larger device. Users can take notes with text, voice or photographs. 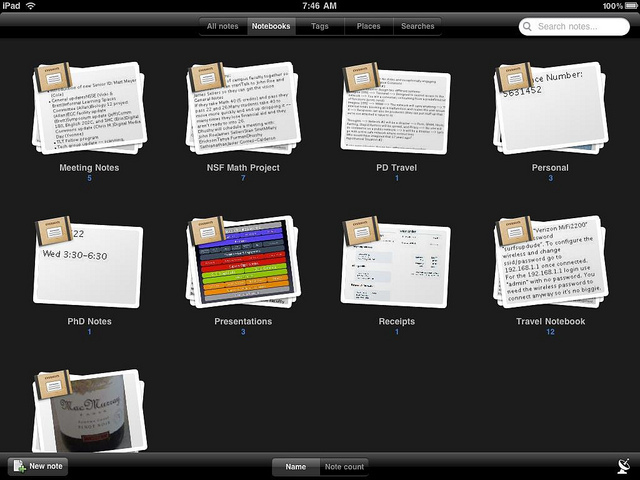 It also allows you to access existing Evernote data, so you never leave anything behind. That is, unless you forget your iPad Mini. As the iPad Mini is smaller than its older sibling, it loses a little memory as a result. To keep its speed as high as possible, you will also not want to overload the device with too much data. That isn’t a problem, especially when you have cloud storage on your side. SugarSync, for example, offers 5Gb of free data (Dropbox offers 2Gb) and allows you to access a full library of photos, files and music, wherever you are in the country. GoogleDrive also offers 5Gb of free storage. Portability, as mentioned, is where the Mini comes into its own. A quick tube or bus ride across the city to the next important meeting is the perfect time to chill out with a book. Unlike with Amazon’s portable Kindle device, you cannot buy books directly through the app. But it is perfect when you don’t want to carry around more than one device and find yourself with a few free moments to read a couple of chapters. As mentioned earlier, the iPad Mini is far easier to take photos with than the larger iPad. For that reason it is the perfect place to download Camera+ – for the relatively cheap price of 69p. The camera on the Mini will never be perfect and is not the thing to rely on if you’re after professional quality photos. Camera+ editing software goes some way to improving your snaps, with adjustable effects and an excellent clarity filter.